NuGet Gallery | Packages matching Tags:"httplistener"
17 packages returned for Tags:"httplistener"
HttpListener wrapper which forwards requests to handler objects' endpoint methods. IT Hit WebDAV Server Context for projects that use HttpListener. Using this context you can build a cross-platform WebDAV server on .NET Standard 2.0 that runs on iOS, Android, Windows, Max OS X & Linux. NWebDav.Server.HttpListener is a flexible WebDAV server library that can be used to expose files or other data using WebDAV hosted via HttpListener. A fully managed HttpListener implementation extracted from Mono. It's not as complete as the .net implementation of System.Net.HttpListener, but it doesn't require Administrator rights to listen on all interfaces, making it perfect to serve http content for test servers. 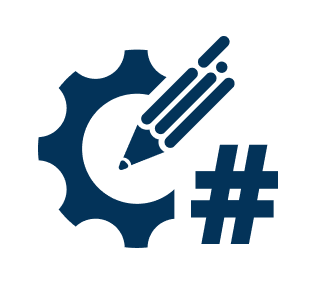 Library for quickly making C# web apps. Provides a way to add NAME as a self host web api endpoint for .NET using the HttpListener. Simple multi-platform HTTP server based on HttpListener. Kestrel wrapper which forwards requests to handler objects' endpoint methods. Http framework for C# web apps. Nano is a micro web framework for building web-based HTTP services and websites for .NET.